Maharashtra is 2nd largest state in India with population of 100 million and area of 3.08 lacs Sq. Km. The State has always remained on forefront in the world in health care delivery with a very well knit rural and urban infrastructure & Facilities. The infrastructure fulfills the norms prescribed by Government of India under model health plan. A comprehensive package of promotive, curative and rehabilitative services are being provided through vast network of rural and urban infrastructure. The first AIDS case was reported from Mumbai in 1986. To prevent HIV transmission and control its spread. To reduce morbidity and mortality associated with HIV infection. To reduce the adverse social and economic impact resulting from HIV infection. To coordinate and strengthen STD/HIV/AIDS surveillance. To provide technical support in HIV/AIDS prevention and control to Government and Non Government Organizations. To develop skills in clinical management with focus on bio safety. To develop health promotion interventions among high risk behavior groups. To enhance the community awareness, specifically knowledge, Attitude and practice of high risk groups. To develop Health Education materials for distribution and adoption by agencies working in AIDS prevention. To channelize and integrate the activities of Non Government Organizations in AIDS control and prevention. To provide facilities and to strengthen the centers for control of Sexually Transmitted Infections both in Government and Private Medical Institutions and Practitioners. To organize Social support for management of HIV infected and AIDS patients. To undertake operational and Bio-Medical research. To monitor the development of HIV/AIDS epidemic in the state. Any other measures related to AIDS control as per guidelines of NACO. NEW DELHI: A day after its main opposition party urged India to put all the facts before the world to "name and shame Pakistan" for its alleged transgression of the Line of Control in Kashmir, New Delhi backtracked from a third party probe of the incident amid reports Thursday that a hawkish brigadier from its own army may have been at the heart of the current flare-up. "As far as this unprovoked attack is concerned, it is now incumbent on the government of India, since Pakistan still continues to give denial, to collect the entire evidence, including the identity of those Pakistani army officials and the groups guarding particular area who are responsible for this assault, place all these facts before the international community so that Pakistan can be named and shamed before the world at large for this brutal attack," Bharatiya Janata Party's senior leader Arun Jaitley had said. Mr Jaitley's position brings him close to what Pakistan too has demanded. But the Indian government demurred. "We are certainly not going to agree to internationalise the issue or allow the UN to hold an inquiry. That demand is obviously rejected out of hand," Finance Minister P. Chidambaram said at a news conference after taking part in a meeting of the Cabinet Committee on Security which was briefed by Defence Minister A.K. Antony. "We take a serious view of what happened. Whatever has to be done will be done," Mr Chidambaram said while describing the alleged decapitation of an Indian soldier as brutal. The usually informed Mumbai-based newspaper Daily News & Analysis (DNA) wrote on Thursday that the Indian home ministry had received inputs suggesting that Indian army units in the Uri sector could have provoked the incident. 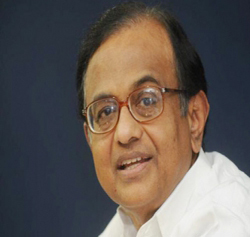 Mr Chidambaram was subsequently quoted as denying the report. "While there was sporadic firing exchanged in some parts of the LoC, a cross-border raid by the ghatak (commando) platoon of the 9th Maratha Light Infantry (MLI) in the early hours of Sunday could have been the provocation," the DNA report said. It quoted "top sources" in Indian home and defence ministries as saying that "the Pakistani attack was in all likelihood a retaliation for the attack carried out by 9 MLI". The DNA said the commander of the 161 brigade, stationed in the Churchunda sub-sector, Brig Gulab Singh Rawat, had decided to take a very aggressive posture. Sources said that he asked the commanding officer of 9 MLI to take "proactive action", to launch a quick raid against a post that was harassing Indian positions. The successful Indian raid led to the death of a Pakistani non-commissioned officer and escalated tensions across the LoC, the report by the Indian daily said. The DNA story was at variance with both the official Indian narrative as well as the Pakistani account which claimed that no such raid, not even a retaliatory incursion, was undertaken by Pakistani soldiers across the LoC. India's army headquarters believed that the Pakistani raid on Tuesday was carried out by men from the Baloch Regiment though DNA also said that the HQ had not ruled out the role of a team of the Special Services Group (SSG) which is part of the elite Pakistani Special Forces. "Reports suggest that the attacking party was dressed in black dungarees usually preferred by the SSG," the Mumbai daily said. It quoted another intelligence input as suggesting that Tuesday's attack could have been carried out by irregulars from the LeT after its chief Hafez Saeed started raising "border action guards" to attack Indian troop positions on the LoC. Indian intelligence experts have ruled out the attack as a major shift in policy on part of the Pakistani General Headquarters (GHQ) in Rawalpindi. "We believe that this was a local action purely in retaliation of the raid our troops carried out in the Uri sector," a senior intelligence official told DNA. The Indian home ministry is also looking at the role played by Brig Rawat and whether his "aggressive posture" could have been avoided. There is a feeling in the government that Brig Rawat has a very "aggressive track record", the report said, which could have escalated tensions on the LoC at a time when the nine-year-old ceasefire was holding well. An inquiry into the incident has been ordered by Army Headquarters and a decision on Brig Rawat could also be taken in the coming days.